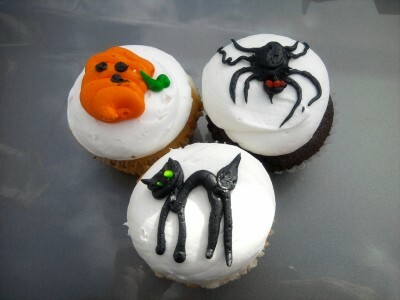 By cupcakeSerenity on October 29th, 2011 . Filed under: Bakeries, Decorating, Halloween, Photos . I just found these Halloween delights at a local bakery, The Bankery, in Skowhegan, Maine. The decorations are all done by hand, and all in frosting. Talk about talented! My son was thrilled, because I couldn’t bring myself to eat the spider, so he got the whole thing! The cat is my favorite, paws down! Happy Halloween!